Let's time travel back to Leningrad (aka St. Petersburg) in 1924. 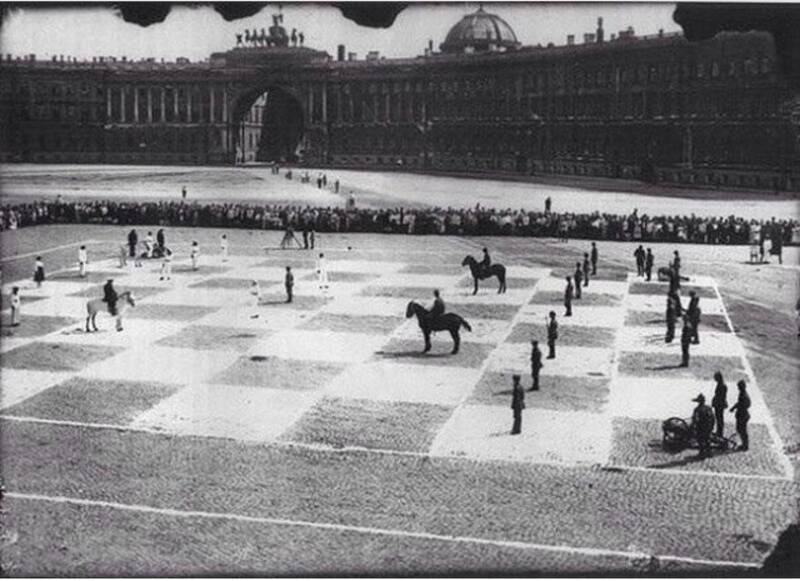 That's when an unconventional chess match was played by Peter Romanovsky and Ilya Rabinovich, two chess masters of the day. Apparently, they called in their moves over the telephone. 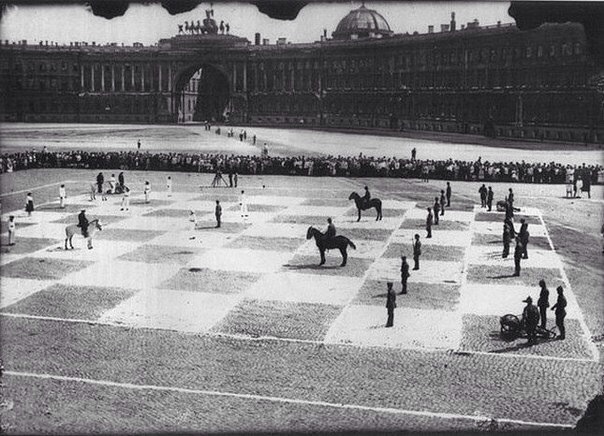 And then real-life chess pieces--in the form of human beings and horses--were moved across a huge chessboard covering Palace Square. Members of the Soviet Union's Red Army served as the black pieces; members of the Soviet navy were the white pieces. They're all on display above, or shown in a larger format here. According to this online forum for chess enthusiasts, the 5-hour match "was an annual event, designed to promote chess in the USSR." The first such match was held in Smolensk in 1921. We're not sure who won the St. Petersburg contest.